want to go see a movie? It is, er, a kids movie. But go on, tell me you didn’t see Disney Pixar Cars. Tell me you didn’t totally dig Rascal Flatt’s rocking version of “Life is a Highway.” Tell me you did not well up during “Our Town” when they’re reminiscing about the interstate coming through and making the town irrelevant. Oh I know you did. And town/mother was not at all a metaphor. Not at all. Anticipation is the stuff of life, I reckon. Keeps us moving forward. I love the anticipation of Christmas. Or a wedding. Or a new baby. Or the leftover cheesecake in the back of the fridge. In this house though, there is a whole world of anticipation way beyond the thrill of Friday night dessert night. 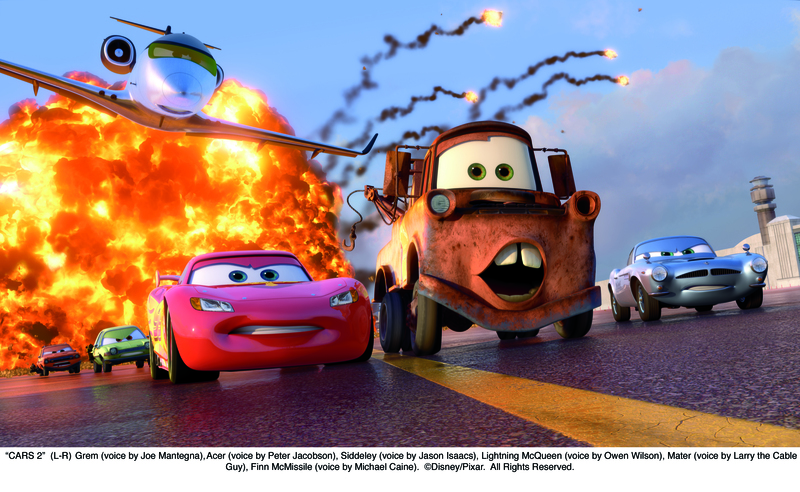 Disney Pixar Cars 2. Release date 23rd June, in bright red texta on Henry’s calendar. Missed the original? You mean you don't know these two in front personally and intimately?! I don’t think Henry’s been into anything as much as he’s been into this movie and the diecast family that came with it. When he went into hospital for the big operation on his palate and throat, it was Lightning he took in with him and two new cars he took home. He has spent hundreds of hours lining up those cars and talking to them. We’re not generally into Disney merchandise in this house but he has pretty much the whole set of Cars characters collected over the course of four years. It’s impossible to overstate his adoration of his four-wheeled collection. Showing a canny knack for slapstick not unlike his father, Henry thought the highlight of this trailer was the car driving into the slurry tank. Just like he thought the funniest bit of the original movie was the tractor tipping. He has a little diecast tractor from the series. Yep, he tips it. Hilarious. 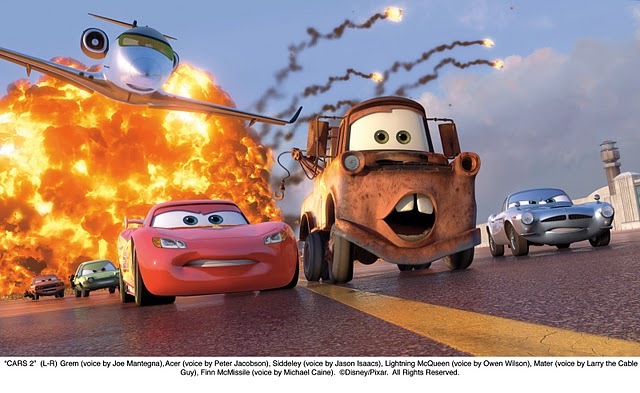 Anyway, if you’re interested in seeing it and you’re a blogger on the Eastern Seaboard of Australia then there’s a deal on over here which says if you write a post about the movie they’ll send you a family pass to a screening of Disney Pixar Cars 2. So we might see you there! And if you're not a blogger but you're in Australia, I'll be giving away a family pass here sometime soon. Henry's anticipation is completely infectious and I admit I'm seriously looking forward to this movie. There may even be a new diecast car in it for him. Hello, Finn McMissile a.k.a Michael Caine. Awesome! We are similarly excited about the new movie. Fortuitously, there is a school closure day the day the movie is released.